Will you ever go to a city for visiting just one monument? The Cologne Cathedral (Kölner Dom, in German language) is well worth it!. This 12th century cathedral is an epitome of Gothic architecture grandeur and also recognized as one of the UNESCO World Heritage sites. 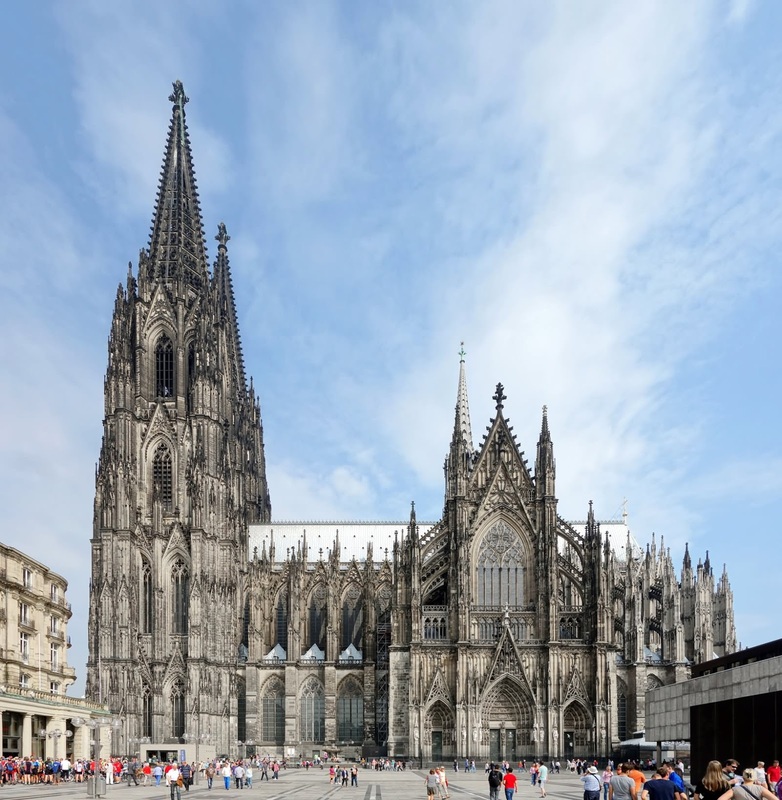 It’s located just outside the Koln HBF and can be seen almost from anywhere in the city, such a tall tower it is..
Watch our 2-minute video (below) and that may show you, why the Cathedral of Cologne (Kölner Dom) is one of Germany's most important architectural monuments and a must-see tourist attraction! It took more than six centuries for the structure to be completed. Construction was started during the 13th century, and it took 632 years to get finished. It was the tallest structure in the world for a four year period, from the year 1880 until the year 1884. The present cathedral structure is the third structure built on this location. During the fourth century a Roman temple was erected, and in the year 818, a second religious structure was placed here. When this church burned down in 1248, the present cathedral structure was started on the same spot. Interior Cathedral: Checkout all the beautiful glass paintings all over the cathedral, You should also look for Mary’s Chapel, Chapel of the Three Kings (3 magi), and the Cathedral Treasury. Exterior Cathedral: Walk around and see the history in pictures. The South Tower: Climb the 509 steps to witness the “World’s largest church bell” and for a fantastic view of the city. It was over 32degC on the day we visited, so we did not dare to climb the south tower to see the worlds’ largest swinging bell. But, if there's a nice weather you should plan to visit. Your trip to Cologne is not complete without a visit to the Dom. Even if you have got only a couple of hours at Cologne, you should go to this magnificent Dom at least. It’s Gorgeous inside and out!! !